Windows Phone 8, specified as "Apollo," is coming with integrated Windows 8 OS and enterprise centered Microsoft’s smartphone platform. A good number of Windows Phone 8 features are now open. Microsoft has made important architectural changes with Windows Phone 8 to attain the edge in expanding smart phone market segment. At presently lagging behind Apple and Google in smartphone market share, this is Microsoft’s heavy R& D investment and it has also provided technologies to app developers to dedicate their limited resources for the Windows Phone OS. 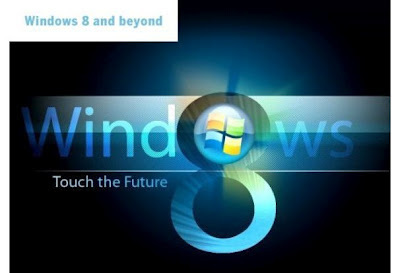 It is possibility that Microsoft way invest heavily in Windows Phone apps interoperable with Windows 8 tablet apps and Windows 8 PC apps. This will provide a better reach to the Windows-focused mobile apps and a huge market share. Microsoft has plans to integration of the desktop/tablet and phone OS much deeper than just the "Metro"-style tile user interface. It has massive plans to make it highly cross-platform development. Microsoft is planning to be around 100,000 apps to be in Microsoft's marketplace when Windows Phone 8 launches. It may be for the sale in fourth quarter. Windows Phone Marketplace recently has crossed assed 50,000 apps. Though a 100,000 app mark still leave Microsoft quite behind Apple's 500,000-plus apps and Google's 400,000-plus apps. There is a native code support in the new version should ease porting of iOS and Android apps. Though, Microsoft is still working with and along backward compatibility for Windows Phone 7 and 7.5 apps in Windows Phone 8. When Microsoft threw out the Windows Mobile platform in favor of a clean break with Windows Phone 7, the company abandoned many of the enterprise-friendly features that had helped that earlier Microsoft smartphone OS to a respectable market share. The Windows Phone effort by the Microsoft to be consumer-friendly interface, it is now trying to make it business friendly as well at back-end as well. It is providing many end-user friendly features involving support for multi-core processors, four different screen resolution options, removable microSD card storage, NFC radios, tap-to-share capabilities, the ability to track data usage, revamped Skype and Xbox clients and automatic preference for Wi-Fi connections.